Biryani has always been a topic of debate among food lovers. Which restaurant serves the best biryani, which biryani has the most succulent meat, which biryani comes with aloo or potato – these are topics biryani lovers have always pondered upon when ordering biryani for dine-in, takeaway or delivery. Kolkata has always been one of the top three biryani destinations of India, with hundreds stores serving hundreds of biryani variants. There are a few crowd favourites, such as Arsalan, Khawab, Oudh 1590, etc. But other than these three, there are also a few off-beat biryani restaurants in Kolkata that serve biryani worthy of your attention. So today, we are going to take a look at the top 10 off-beat biryani destinations in Kolkata. Read on to find out more. Shiraz, with its oldest branch at Park Street near the Mallick Bazar crossing, as well as various other branches all over the city, has been serving some of the finest biryani variants to Kolkatans since the 1970s. The chicken chap is the best accompaniment with either their chicken or mutton biryani. Nizam’s has been in service of Kolkata’s biryani lovers for more than a few decades now, and they have always known the art of keeping their customers happy and smiling with their biryani variants, especially their beef biryani. The aroma that one can enjoy when passing this age old restaurant is truly mesmerising, which makes up for the lack of ambience. The biryani served at Zeeshan is greasier and spicier than all the other biryani variants found in the city. So if you are on a diet if some kind, you should definitely avoid Zeeshan. But if not, then dive in to the spicy and succulent world of Zeeshan biryani, coupled with reshmi kababs that melt in your mouth like butter. If you looking for the best kept biryani secret of Kolkata, then Aafreen Biryani House is the biryani destination you need to visit. This tiny take-away biryani joint, located in Thakurpukur near the 3A bus stand, only serves chicken biryani and chicken chaap. The choices might be limited, but the way Aafreen prepares the biryani and the chaap is truly wonderful. Besides, you will definitely have to battle a crowd if you want to get your hands on said biryani and chaap. The old-fashioned interiors, and the white plates of Aminia have been in existence since 1929, and have not bothered to change, because that is how people love it. Although it has several branches all over the city, the oldest branch is located at New Market. 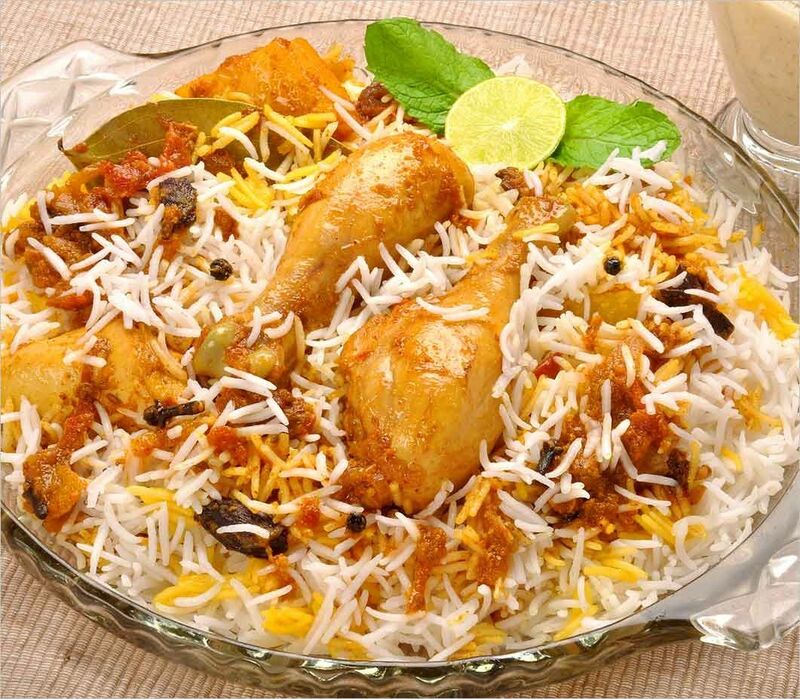 The biryani served at Aminia is truly remarkable, but when coupled with the chicken rezala, it becomes truly heavenly. The combination is like a dream come true for any biryani and North Indian lover. Biryani House, located just behind the Hogg Market area, is a true crowd pleaser and is an oasis for tired shoppers roaming around New Market in the afternoon hours. The price here is low, and we mean quite low, which makes sure that you do not have to worry about the pocket pinch when you are hungry and just want some succulent biryani for lunch. The ambience is nothing special, but the tasty biryani makes up for it. New Aliah is located in Esplanade, near Paradise cinema, and is known to be one of the finest biryani destinations in Kolkata other than the big three we mentioned earlier. If you are looking for a quite place to enjoy some tasty biryani with your friends and loved ones, then New Aliah is definitely not the place for you. If you are ordering biryani, then do not forget to order the mutton tikka, which is not only tasty, but spicy and succulent as well. With two branches at Khiddepore and Park Circus, Zam Zam offers chicken, mutton and beef biryani that has no comparison anywhere in the city. The specialty of Zam Zam is its burhaani, or yoghurt based drink, that they serve with their biryanis, that enhances the taste of the biryani, and acts as a digestive as well. If you are not a local, then finding Zam Zam can be tricky, but once you do, you will be introduced to a world of intricate flavours, mixed perfectly together. Located in Diamond Harbour Road, Haji Saheb serves North Indian and Chinese cuisine, but it is most well-known for its biryani. A little secret for all the food lovers reading this – make it a point to have the biryani packed for home, as you will get a whole lot more quantity of biryani than when you eat at the restaurant. Just keep this fact in mind when ordering from its vast menu of succulent dishes. Last but not the least – Royal Indian Hotel is a legendary restaurant when it comes to enjoying biryani. It is perhaps one of the finest biryani places in the city. Although the Royal biryani was once served without potatoes and eggs, they have recently introduced potatoes in their biryani to attract the potato lovers to their newly opened branch at Syed Amir Ali Avenue. Make it a point to try their chicken reshmi malai kofta with their biryani, or order the murgh mussallam during the weekends if you are feeling adventurous.